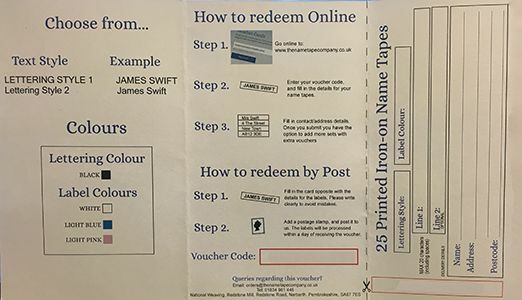 You will receive a card with instructions for ordering your customised name tapes. This card will contain a unique 1 use code for your order. Unfortunately once these have left our Fulfilment companies warehouse, we cannot accept a return to refund. Woven IRON ON Name Tapes and labels for School uniforms. There is nothing more costly and annoying at school than the problem of lost clothing, but for a few pence, this can be a problem of the past. By ironing on our easy to use Woven IRON ON Name Tapes, your child's uniform and sports kit can be identified easily and quickly. 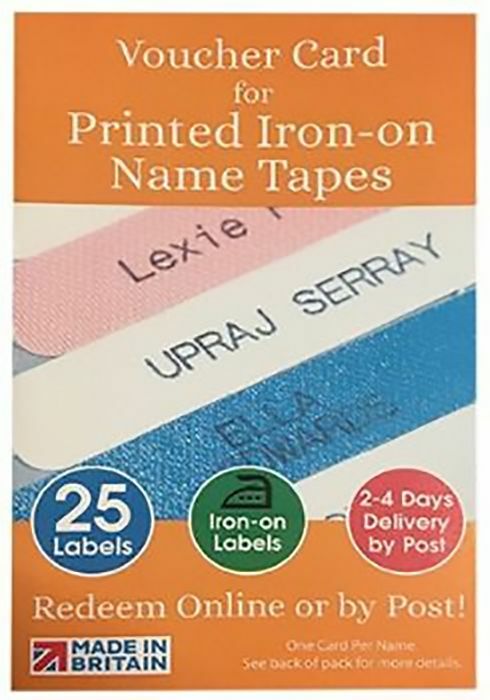 Our Woven IRON ON Name Tapes are woven to the highest standards and are available in six lettering styles and four different lettering colours. Maximum of 25 letters and spaces. No split orders. One surname only. A self addressed card will be supplied for you to fill in your details.